I have problems with the withdrawal from the Americas Cardroom. I conclude on Sunday 50 dollars on Skrill (with it and made a deposit). Money left from the account. Well, I think everything will be in a few days. And now I went into the details of the account, and the money again, the score on the board. Moreover, now I'm not available, no withdrawal method! What is what? I'm dealing with the same thing right now and their customer service department isn't responding to any of my messages or answering my calls.. This is beyond irritating. 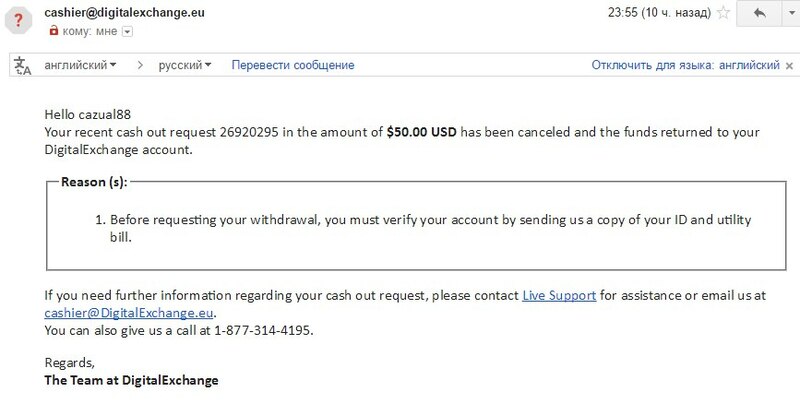 I withdraw without problem from ACR to neteller, but one time happened to me, no withdraw methods, I send a message customer support saying that was no methods to me withdraw and in 5 minutes the problem was solved. When happened to me, they answer quickly online. What about Verification? They have dif payment method for dif regions. And ACR have great online support! Where to send? And why do you need a copy of the utility bill? While we're on this topic, I had the same response from support back in February when I noticed the option to deposit via card was no longer available, and was told I needed to send this same info for it to be restored. I sent the info via email on Feb 28 of this year, and never heard anything back, the option still not there. Shortly after sending this my laptop broke and I was without one for a while. I recently replaced it and have been meaning to get in touch with support regarding this. I'm sure that's where I'd be directed from here but had a few minutes to type this out. We actually replied to you on 2/29/2016 10:53:33 AM stating that the documents were received. Yes my address in my passport is such on account. I will send the photos in 5 minutes. If I will have questions else, I will ask you, thanks! I've just gone and checked my email again, I never received the email you mentioned on 2.29 or after. Also, as I said in my original post, the option to deposit via card is still not there. I don't need to right now, that's not the issue, it's just that I was told I needed to send in those documents for acct verification in order to get the option back and still don't have the option. Also don't want an issue in the future when trying to withdrawal. Well, did you guys raked enough? At ACR you have to rake at least 10% of your deposit (and maybe also bonuses etc. if you used any). Its quite drawback compared to other sites, but well, you deposit to play, not to withdraw the same money 1 week later, right? None cashout's problems will happen because you do not have the CC option to dep. However, I have sent your account to review to the sec dep for them to send you an email with all the information and to review on the deposit options. Thank you, again, for your quick responses. I did receive the new email explaining I needed a proper utility bill, sent that, then received a confirmation email that I'm verified, however I still don't have the CC deposit option. If you could look into this please and thank you. I'm going to be looking to make a deposit soon. Hey Rep, unfortunately I still don't. Glad you are working on it though. Thanks, again. Oh and if it matters, I'm speaking about the BCP skin, as that's where I'm playing currently. I don't know if I have the option or not on ACR skin, hehe. We have it! Thank you so much for your help! No worries at all!